Have you ever tried working on a collaborative project involving multiple contributors without using any special software to manage versions or track changes in files? Just trying to keep track of which file is the latest version of a particular document will be enough to cause many a headache! Version Control Systems (VCS) on the other hand, are computer software designed specifically to track changes in documents, images, programming codes and other types of files. These tools allow the user to trivially identify the latest version of files, and also retrieve older versions of the files if needed. One of the most popular free version control systems is called Subversion, or SVN for short. This article provides some basic introductory information that you need to understand in order to do version control with Subversion. Let’s start by defining terminologies. Versioning is a process where the state of a project is committed or saved at a certain point in time. In software development, versioning is necessary for the improvement of the project while still being able to track the changes from previous revisions. This process also ensures that people are working with the latest revision of the files. The repository is a database where all the file data is saved. It contains the contents of all the files that comprise the project, together with all their previous revisions. In the repository, anyone can check-out a copy of the files onto their local machine, but only an authenticated author can check-in files. A revision number is used to track all the files inside the repository. With Subversion, this number is incremented by one every time a new version is saved to the repository. A working copy is a local copy of a particular version of the files. For example, consider a situation where you wish to work on a file in the repository. First, you have to “checkout” that file from the repository and save the file in your computer as a working copy. You then edit the file and make whatever changes you wish to make. When you have finished editing the working copy, it is then committed back to the repository and is saved with a new revision number. Committing is the process whereby the local changes made in the working copy is sent back to the repository. A working copy can also be updated with changes made by other uers. For example, consider a situation where you have checked out some files from the repository. In the meantime, someone else has also checked out one of the same files to make other changes and has since committed it back into the repository. You can then update your working copy to the latest version so it matches the revision in the database. 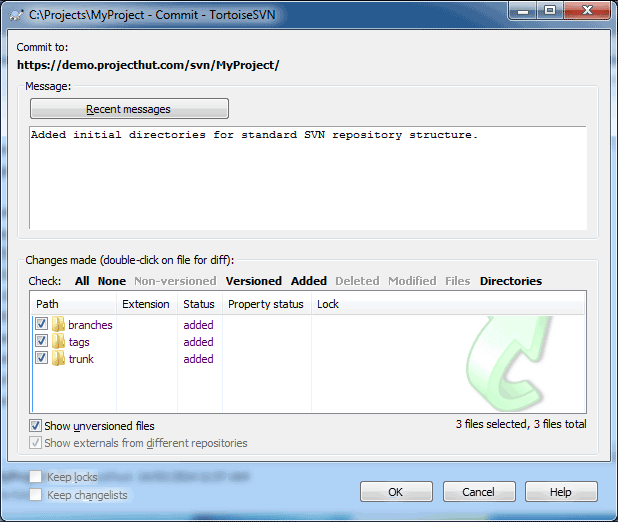 This step is necessary to resolve any conflicts and avoid any problems when you commit the file into the repository. Merging is a process whereby files from two different versions are combined into one final version. When files are merged, any conflicts that may arise must be resolved by the authors. Now that you are familiar with some of the terms used in SVN, here is the workflow to manage version control in Subversion. Determine the operating system of your computer. Then download and install the appropriate version of Subversion on your computer. For Windows users: TortoiseSVN is recommended. For Mac OS users: svnX is recommended. For Linux users: Use your package manager to install the ‘subversion’ package. Create a repository. There are many ways to do this, depending on whether you want to use a local SVN repository or a hosted SVN solution. 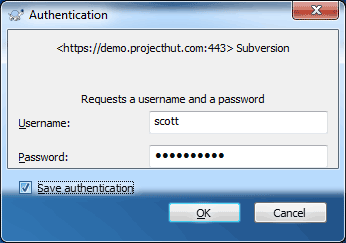 Your Subversion software will allow you to create a local repository, however it is generally a good idea to ensure your repository is located on a different computer to your work computer for additional data redundancy. Checkout the latest revision from the repository. 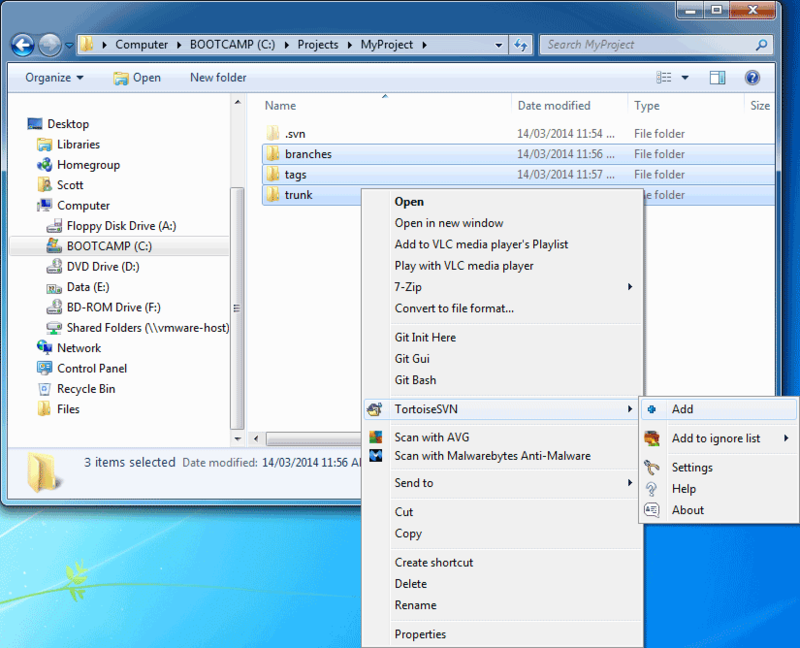 The process for doing this depends on the particular software used, but in all cases you will need to choose a location on your computer to store the working copy. When the checkout has completed, you may start editing the file. Make necessary changes to improve the files. If multiple users are working on the same files, make sure that you are using the latest version, such that your local copy is in sync with the updates on the repository. And always double check your changes before commiting. Merge the files and resolve any conflicts that may arise following an update. Subversion will not allow you to commit any changes if there are conflicts that have not yet been resolved. Commit the changes. Note that when changes are committed, it is very helpful to leave some descriptive notes or log message to indicate why the changes were made. In this way, you can recall the reasons behind the changes should you need to return to the files in the future. Thats basically it! This information should hopefully be enough get you started with version control with Subversion. Go and focus on your project, and let the software worry about tracking all the changes to your files! 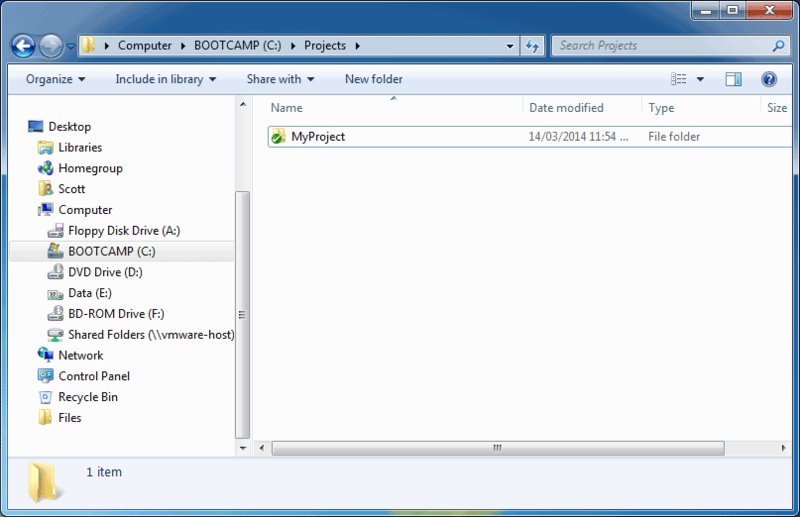 Version Control Tools: Which should I choose? Version Control Tools enable us to store and share files with other users, track changes in each revision of the file, and compare different versions of our data. Program developers, designers, and even writers today use version control tools to prevent loss of files and facilitate reverting to previous revisions. Nowadays, Subversion (SVN), an improved version of Concurrent Versions Systems (CVS), is the most widely used centralized version control tool. 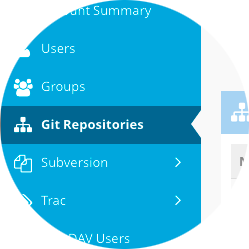 Distributed version control tools, such as Git and Mercurial, also offer a different workflow functionality to the single repository system of Subversion. This article reviews the usability of some of the top open-source version control tools available today. You share source code or documents with other people and you want multiple users to be able to edit or change the file at one time. CVS can help merge the changes from different users automatically. You save your source code or documents on more than one machine. When you edit your files, CVS can help you update the files in both of your machines. You have a slow Internet connection, and often make local copies of your files and edit them. CVS can help you prevent your files from getting out of sync. You would like to have a record of all the changes in your files and keep all revisions just in case you may need any of them. CVS has been used for many years and is considered a mature technology. However, as it is now an older software, it lacks some of the functionalities offered by more current version control tools. For example, CVS is not capable of atomic operation support, which may potentially lead to source corruption. Moving or renaming files in CVS also does not include a version update, as it must be performed by manually modifying the repository files. There are also security risks from symbolic links to files, and branch operations of CVS are expensive, as CVS is not designed for long term branching. Subversion is still the most widely used version control system. It was built initially as an alternative to CVS. It fixes some bugs in the CVS system while maintaining high compatibility with its workflow. 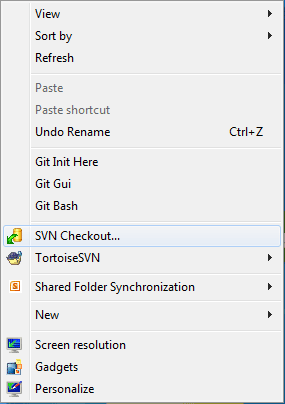 SVN is released free as open-source software. Unlike CVS, SVN employs atomic operations which prevent corruption in the database. Either all of the changes made to the files are applied at once, or none of them are applied, so no partial commits can break the original source. Also, SVN offers cheaper branch operations and wide variety of plug-ins for integrated Development Environments (IDEs). However, SVN still relies on having access to a centralized repository to perform many operations, unlike the peer-to-peer model adopted by some of the new distributed version control systems. Git was originally written by Linus Torvalds, the creator of Linux. The original concept for Git was to create a version control tool that is faster and based on a distributed system, unlike SVN or CVS. Git is equipped with a variety of tools that help users navigate the history and merge complex changes easily. Git uses a distributed repository model. Hence, anyone in the team can have their own complete copy of a repository on their machine, and they are free to work offline if required. While this may have its benefits, some organizations prefer the additional centralized control offered by systems such as SVN and CVS. Also, Git is considerably more complex to understand than SVN or CVS and it has historically had limited Windows support compared to its excellent support in Linux. Mercurial is very similar to Git, however its interface presents a much simpler system, which is is why it appeals to some developers. Developers will notice that Mercurial share some features with SVN. 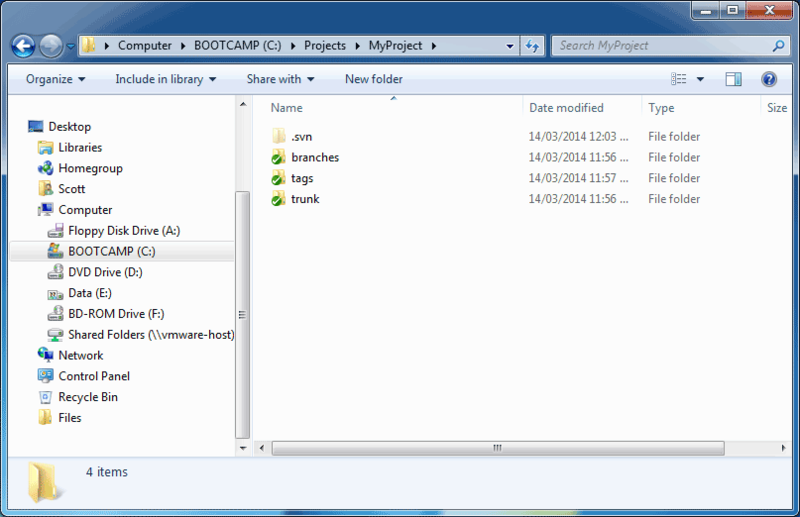 Thus, those who are familiar with SVN as version control tool learns Mercurial quickly. The documentation for Mercurial is also more complete and user-friendly, hence it facilitates the learning process. So which version control tool should you choose? 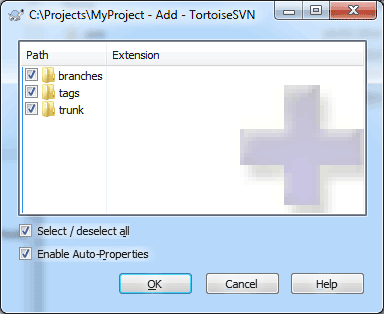 If you are new to source control, have a small team or if you want a single master source tree, then SVN is the first system you should try. SVN is reliable and is easy to learn. If you are working with a large, distributed team, and you will be working at different times and will be submitting several updates to the code simultaneously, Git is a great choice. Git is fast and has an improved brnach management over centralized systems. If you are somewhere in the middle, or if you find the complexity of Git confusing, you can always try Mercurial. All of these version control tools are freely available and fully functional (except perhaps for some of the limitations of CVS). So, consider the nature of your project and your team and choose the version control tool that suits your project best! 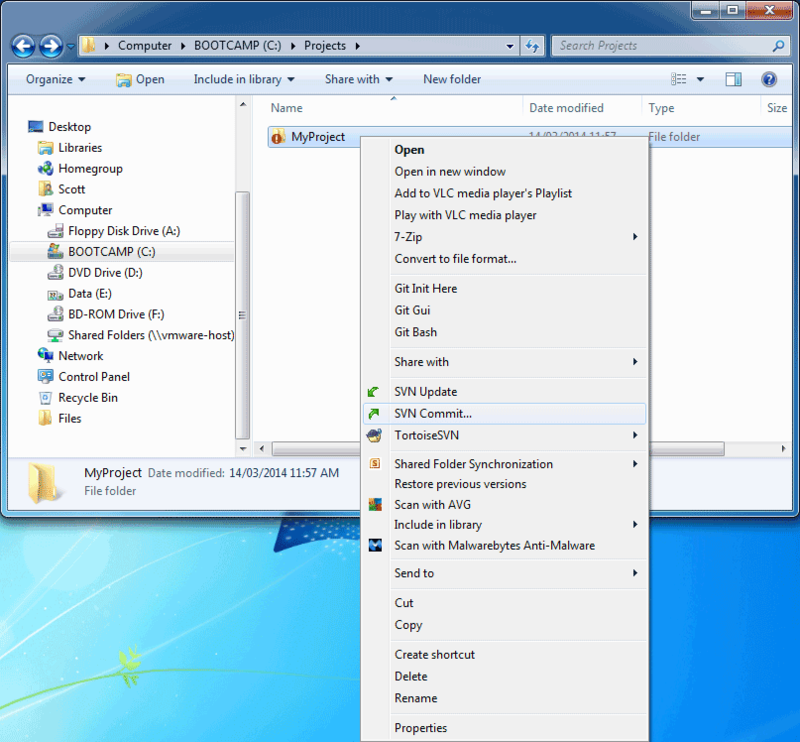 Source Code Control is the process of using Version Control Software to manage computer program source code and other documents. It functions as a repository that saves your complete project, including all images, codes, files, and directories. It can record the entire history of your project, and allows you to track changes through the different versions of your files. It then enables you to compare your current document to any of its previous versions. What can source code control do for your project? If you are working with a series of files or directories, a source code control system can do several indispensable things for you. First of all, it can save the complete development history of your project. It tracks all the modifications and changes that were made to your files, while also recording the date when the file was changed, and who it was who made the changes. Secondly, source code control provides you with a more orderly way of keeping track of all changes through a revision numbering scheme, which indicates which version of a file is the most recent. Third, using source code control can help you undo changes to your files and retrieve past revisions. This is necessary should you decide that the current modifications are inappropriate, or if the changes have introduced new bugs to your system. 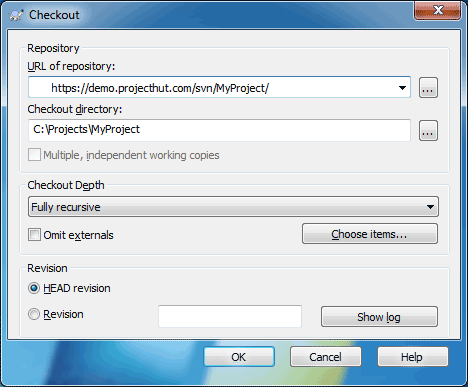 Fourth, source code control can enable multiple users to work on a single file simultaneously, and assist with merging all the changes to the file. To do this, the users work on a local copy of the same code base. They can edit, break code, and fix bugs on their local copy, and when they are done, they can commit the changes back to the repository. The other users can then update their working copies based on the new version of the file. And finally, a source code control system also serves as a backup tool. If you accidentally deleted a file, you can always get the latest version from the repository. Depending on the type of version control system you choose, there would be a number of limitations you have to deal with. One problem with most source code control software is that changes or modifications could be done to a file without noting why the change was applied. Source code control can’t stop this event, but it does prompt programmers to document changes when they commit them. Also, when multiple users merge changes on a single file, conflicts may occur if different changes are applied to the same lines of text. Source code control can’t resolve the conflict on its own by choosing the correct modification, however it can identify it. The developers or users need to step in to resolve the conflict. How do you know if you need to use source code control? Source code control is an important tool in large, fast-changing projects with multiple users, or small projects with multiple source files. You may need to use source code control if you are a software developer working on program source code or a graphic artist working on images or illustrations. If you have files documenting various stages of a single file – for example, named logo-old, logo-new, logo-new2, and logo-final – then you might need source code control to simply track the changes to your image or document. You might also find it useful if you are managing collections of Word documents relating to a project. To save the Word documents, you probably use multiple storage devices for your backups. With source code control software, you can simply use the repository as your backup – not only will you take up less disk space, you can also enjoy the additional revision control tracking abilities of the version control software to boot! In the book or magazine publishing industry, where many revisions of documents are made, source code control can help in managing the documents while keeping the latest version of the file readily available. Likewise, many web developers also find such systems useful for managing and deploying changes to .html and .css files.